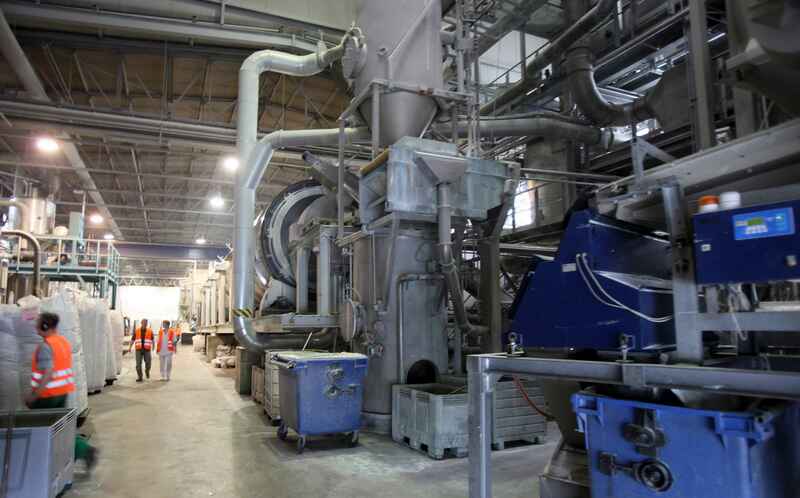 In Rostock, Veolia has developed a flake-based recycling method for PET (polyethylene terephthalate) bottles that allows direct reuse of the recycled material for new food packaging, e.g. a new beverage bottle. Every year in Rostock, Veolia converts 1 billion PET drinks bottles into so-called recyclate from which preforms/bottles can again be manufactured. PET beverage bottles from deposit systems are transported to the Veolia site where they are pre-sorted according to colour, with their caps and any residual waste removed. Pre-sorted bottles are then ground into flakes and washed at a high temperature. 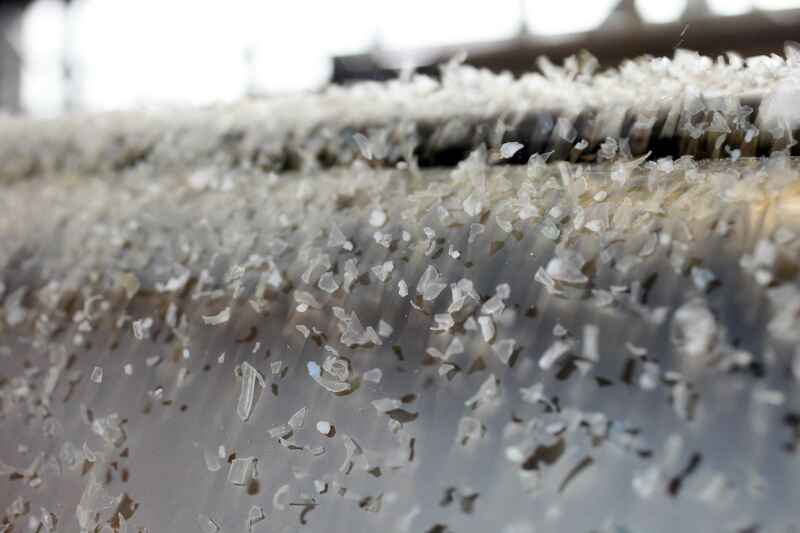 After a mechanical-chemical process, the produced flakes are again suitable for use in the food industry. In a final step all flakes are resorted and the purity is increased. Finally big bags are used for transportation and a narrow quality control before the material is shipped to packaging producers. By avoiding any melt phase throughout the recycling process, Veolia increases efficiency and reduces the impact of the climate compared to using virgin PET. Over 1 billion bottles recycled each year. Decrease in CO2 emissions: one metric ton of recycled PET bottles is equivalent to 1.5 metric tons of CO2 emissions prevented. Savings in primary material and energy: around 31,000 metric tons of petrol saved per year. One-way PET beverage bottles become re-usable bottles. Creation of local jobs and contribution to recycling awareness. Development of skills and state of the art technologies. Economic competitiveness and dependency linked to the raw material: the price of “rPET” does not reflect its production cost but is set by the price of the virgin material. Capacity of the collection systems to retrieve the bottles placed on the market and direct them to the recycling process. Design of the bottles often do not meet requirements for sustainable recycling.